Samsung is expected to remain the primary chip supplier for Apple and its anticipated next-generation A6 processor despite a bitter patent dispute between the two companies, according to a new report. Citing industry sources, Korea Times reported on Monday that Apple will continue to use Samsung's chips in its next-generation iPhone. Specifically, Apple is said to have been in talks with Samsung to have it build a next-generation quad-core "A6" processor. The report said that Apple feels Samsung remains a "critical business partner," even as the two companies are engaged in a number of lawsuits across the world, accusing the other of patent infringement. Samsung is said to have been increasing output of Apple-designed A6 chips at a manufacturing plant the company owns in Austin, Texas. The A6 CPU is expected to utilize Samsung's 28-nanometer processing technology. Numerous reports this year have indicated that Apple has instead partnered with Taiwan Semiconductor Manufacturing Co. for production of its next-generation A6 and even A7 processors. Monday's report indicated that while TSMC will build chips for Apple in addition to Samsung, its volume will be "very small." 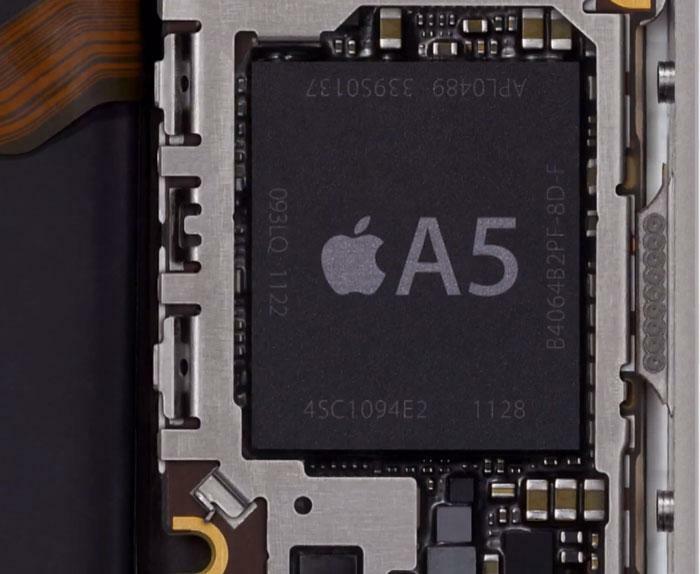 TSMC was said to have begun trial production of Apple's rumored A6 processor in August. The chip is expected to debut in the first half of 2012 in a new third-generation iPad from Apple. A very public growing rift has developed between Samsung and Apple, and patent infringement lawsuits have led to the Samsung Galaxy Tab 10.1 being barred from sale in Australia and Germany. But even as lawsuits have mounted, Samsung has remained a crucial supplier for Apple's most popular products, including the iPhone and iPad, by building custom chips and providing other components, such as NAND flash memory. Apple Chief Executive Tim Cook is allegedly set to meet personally with Samsung Chief Operating Officer Lee Jae-yong, son of Samsung Chairman Lee Kun-hee and heir apparent to the company. Jae-yong also attended a memorial service held for Jobs on Sunday. The Korea Times report also includes alleged information on Apple's next-generation iPhone, the follow up to the company's just-released iPhone 4S. According to the report, industry sources indicated that the next iPhone will sport a larger 4-inch LCD display supplied by LG. Even with the larger screen size, the next iPhone will reportedly have an identical resolution of 960-by-640 pixels. It was also said that Apple is unlike to adopt an OLED display.